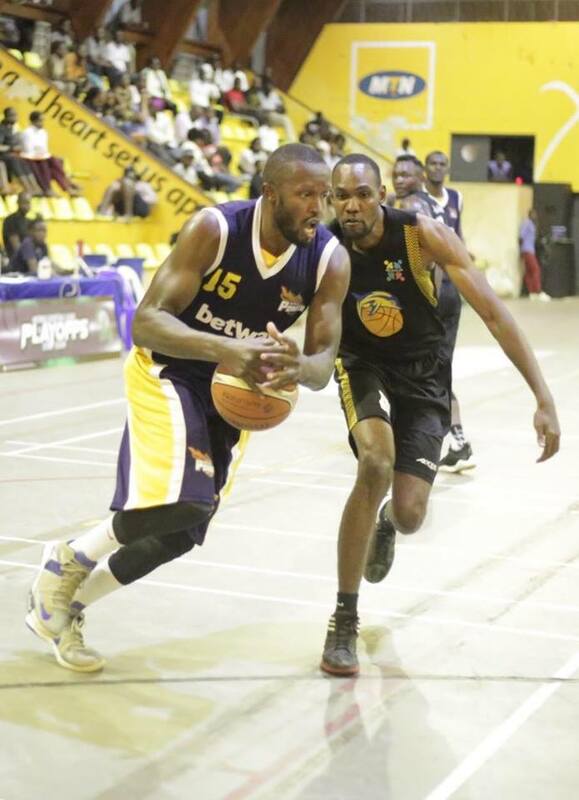 LUGOGO – There will be another game four in the Men’s FUBA National Basketball League (NBL) playoff semifinals after JKL Dolphins overcame BetWay Power in game three of their best of five series. After the KIU/City Oilers game went into game four on Tuesday evening, JKL who were two games down against Power put out a spirited display to win game three 77-72 at the MTN Arena on Wednesday night. Power went into the game knowing that victory would see them become the first side to reach the Men’s final this year but JKL who defeated Pemba Warriors in the quarters had other ideas. Power started brightly as they led 19-21 in the first quarter. The BetWay bankrolled side increased their lead to nine by the first half break with the scoreboard reading 39-30 in their favour. Sensing that they were on the verge of elimination, JKL started growing into the game and eventually won the third quarter 24-21 to reduce the deficit to six going into the last 10 minutes. It was in the fourth that they finally took care of business, producing a magnificent display that saw them restrict Power to just 12 points en route to scoring 23 of their own and in process, winning the game 77-72. Brian Namake was the star for JKL on the day, registering a double-double of 13 points and 11 rebounds. Jude Ochen hit a game-high 20 points for the Dolphins who will now face Power again on Sunday in the all-important game four. For Power, Stephen Wundi hit a team-high 16 points while Geoffrey Soro and Athieu Madol added 15 and 10 points respectively in the losing effort. In the other game, JKL Lady Dolphins outwitted A1 Challenge 79-52 to reach the Ladies’ finals. The victory means that JKL completes a 3-0 sweep over A1 Challenge in the best of five semifinals playoffs series after they had won 88-68 and 74-66 in game one and two respectively. Jamila Nansikombi hit a game-high 20 points for the Dolphins. Hope Akello’s fine run of form continued with yet another double point figure of 14 points. Muhayimuna Namuwaya and Ritah Imanishimwe contributed 12 points each. For A1 who are still searching for a first league title since 2005, had Susan Amito score 17 points with Georgia Adhiambo adding 14 points. JKL Lady Dolphins who had swept UMU Ravens in the best of three quarters will now face three-time defending champions UCU Lady Canons in the finals.